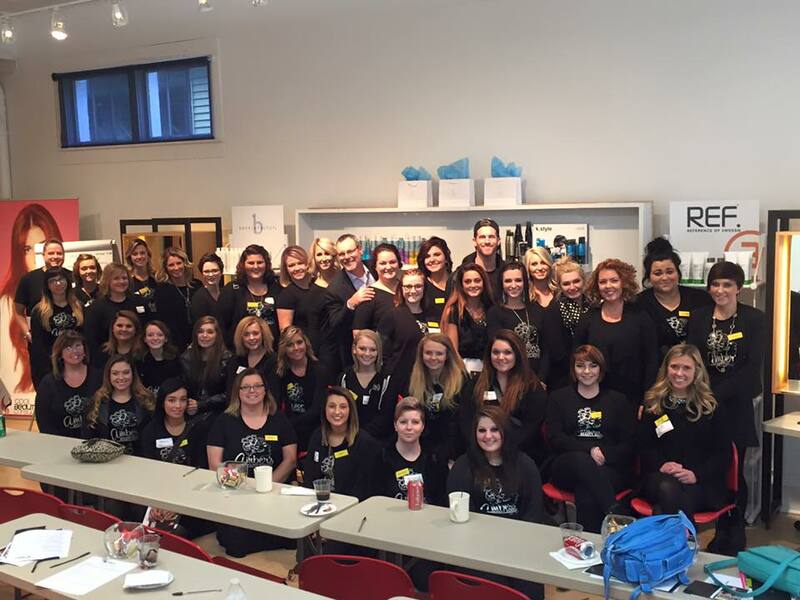 On November 13th, the students at Amber’s Beauty School made a trip down to Louisville, Kentucky for a Living Lab with Hair by Bennie and Friends. Not only did our students take part in classes taught by Bennie Pollard himself, but they learned about marketing and branding, dialogue, client interaction and the keys to success in the hair industry. Students were also given the opportunity to shadow at the salon! Bennie Pollard has over twenty-five years of experience in the professional beauty industry, and is a salon owner, hairdresser and manufacturer. Pollard has won numerous awards since opening his salon, Hair by Bennie and Friends. In 2001, Pollard released BennieFactor, a line we carry here in the salon! BennieFactor is a line of shampoos, conditioners and styling products that are not only performance-driven, but designed to promote inner and outer beauty. Through public speaking, Pollard has earned a reputation for being a great motivational speaker, and people-builder. At Amber’s we are proud to put such an emphasis on education through partnerships with great organizations and people such as Hair by Bennie and Friends. Our students left the Living Lab feeling inspired and prepared to succeed! Interested in attending Amber’s? Contact us at 765-284-2205 today.